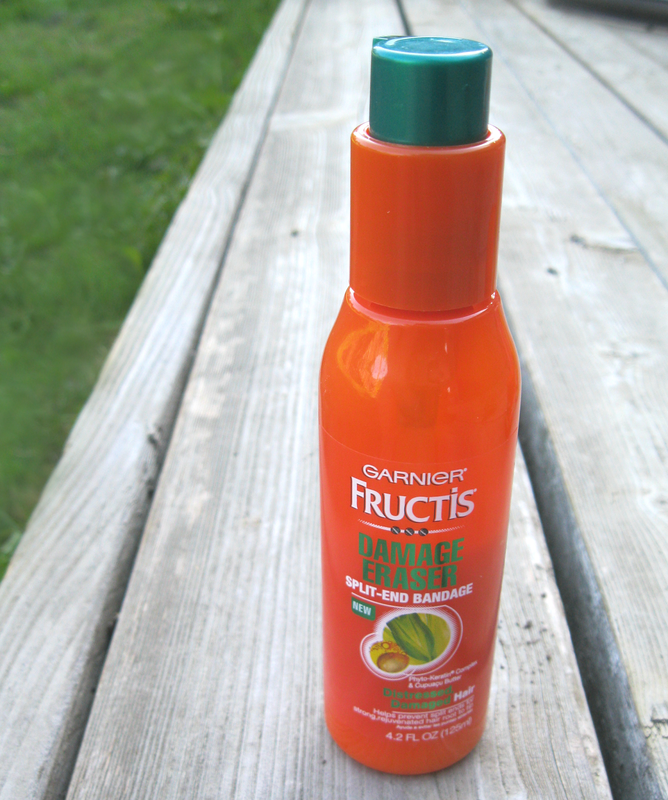 Not so long ago Garnier Fructis came out with a fair amount of new products for both hair and skin. I can honestly say that I have been pretty impressed with nearly every one of the products I have tried from this new line. So this is some mini reviews of what I've tried. 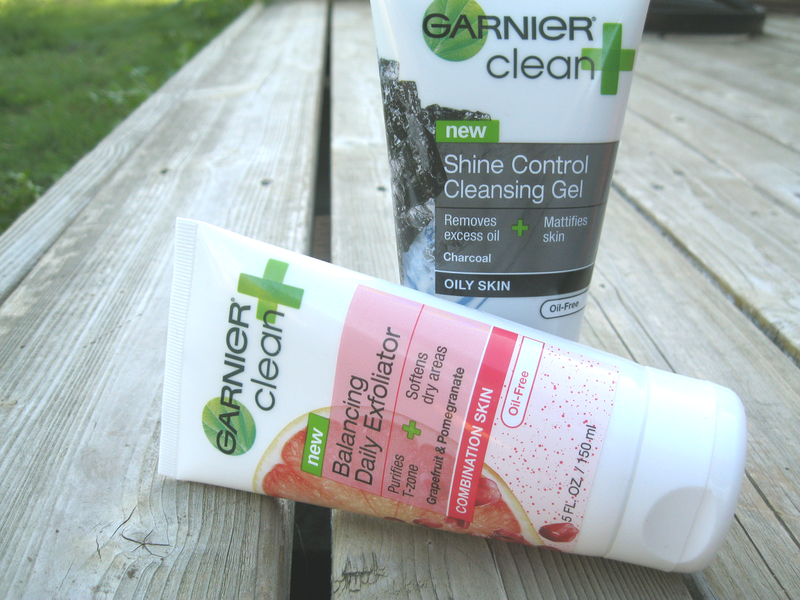 I actually have a couple of additional products I've been using from Garnier that I'm seriously loving that are not in the photos that are include here. Also, just for reference, I would say I have normal to combination skin (I get dry patches and such but I have an oil prone T-zone). Anyway, let’s get into it. This face wash is a light pink translucent gel with small pink exfoliating particles in it. At first I was concerned that it would over exfoliate my skin and I wouldn't be able to use it every day. After using it I found it to be a rather light exfoliation that was nice on an everyday basis; however I do not have overly sensitive skin so it may not work for someone with really sensitive skin. This product has pomegranate and several citrus fruit extracts in it and it smells fantastic. The citrus extracts should help to kill bacteria and do other helpful stuff for skin. This cleanser did seem to improve the balance and the over texture and appearance of my skin. 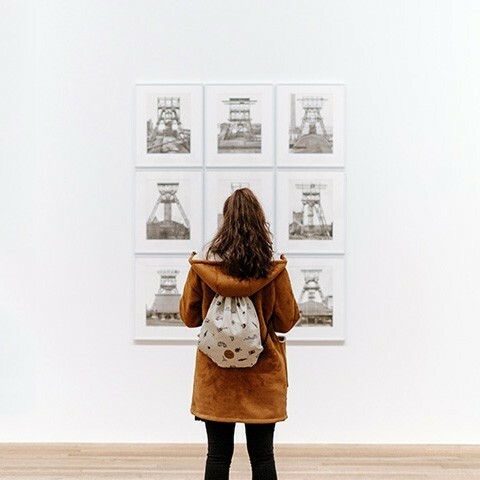 Overall I found I really liked it and I would definitely suggest it. I actually bought this cleanser for my fiancé. He was working at a job that required him to be outside in the heat of late summer doing hard physical labor and I thought it would help keep any breakout issues at bay. This product has a nice gel consistency that isn't too thick. The gel is a translucent light gray with small particles of activated charcoal in it that act as a very light exfoliant while also helping to absorb excess oil and other impurities. It does say it is for oily skin and I would follow that suggestion (it may be excessively drying for someone with naturally dryer skin). As I said before, I have combination skin and I didn't buy this one for myself however I did use this one when my skin was feeling particularly oily. It seemed to give my skin a nice deep clean and helped to draw out the toxins and impurities in my skin. This product is intended for dry skin and honestly I bought it just because I wanted a cleansing oil to use. The oil itself isn't sticky or anything, which is great. It dissolves makeup nicely then emulsifies and rinses off cleanly and doesn't leave behind a greasy film. This oil does a good job dissolving makeup. It is also very hydrating feeling and since the change from summer to winter my skin has been on the dryer side so I have been loving that. The only complaint I have with product is the packaging... it is seriously messy. No matter what I have tried when I pump it some oil inevitably runs down the pump and the front of the bottle and makes a bit of mess. Despite that fact, I have really been enjoying this cleansing oil and it works really well so I would definitely suggest it for anyone who wants to try a cleansing oil and doesn't want the high-end price tag. I use this stuff nearly every day. It's a leave in product that says it will 'strengthen and rejuvenate' hair and has a bunch of good stuff in it. From what I understand you can't honestly heal split ends and with that in mind I think this being called a 'bandage' is completely accurate. So it can't actually heal split ends but it does protect and help hair to resist damage. When I use it I feel like not only am I helping to strengthen and make my hair more damage resistant (which it does seem to do) but it also makes my hair incredibly soft and easier to brush through. It also smells pretty dang good and that's always a plus. I'll definitely be repurchasing this when I finish this one. 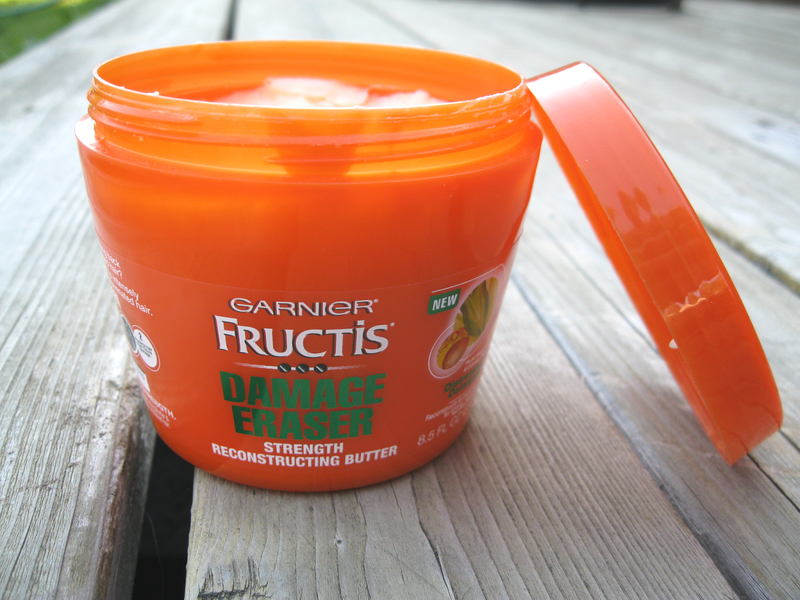 This is a moisture treatment that Garnier is calling a 'butter'. It's got a pretty thick consistency but I don't know if it's quite thick enough for me to consider it a butter. The scent is the same as the split-end bandage ( I think the whole Damage Eraser line has the same scent). This product feels really nice as you work it in and sits well on the hair because it is so thick. It rinses out pretty easily and doesn't leave my hair all heavy feeling like it has a residual film in it. My hair always feels hydrated and soft after I use it. However, I haven’t used it consistently enough to say whether or not I feel like it helps to protect my hair against damage. But if you’re looking for a drugstore conditioning treatment I would suggest giving this one a whirl. 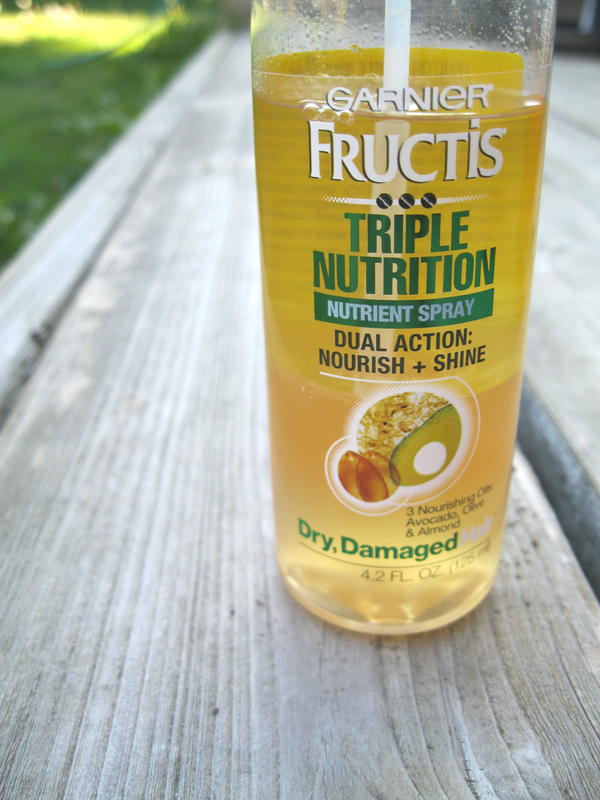 This nutrient spray is meant to be used on hair after it’s styled. I like to use it in combination with the Split-End Bandage. Typically I will work some of the Split-End Bandage stuff into my (wet or dry) hair along with any other products I need before I style and after I style I will give this stuff a good shake and spray some in as a finishing step. It makes my hair shine nicely while also adding nutrients and oils that help to nourish my hair throughout the day. I can’t really speak to whether or not it improves the health of my hair or protects it because I almost always use it when I have already used some of the Split-End Bandage. Also, I don’t know how fond I am of the smell. It’s not overpowering or anything I just don’t find it to be very pleasant. At this point I'm under the impression you could take or leave it, if you’re interested I’d say try it but at this point I wouldn't consider it a ‘must have’. I actually bought this stuff because I was out of my usual Yes to Cucumbers daily facial moisturizer and I was at the grocery store when I remembered. So I browsed the limited beauty section and found this stuff. I’d never really seen a gel moisturizer before and I was definitely interested. It seemed benign enough that I wasn't worried about my skin reacting to it in some weird way. After using it several times before getting back on my usual moisturizer I found I really liked it. I've recently started working in clean room and the air in there seems to be especially drying for my skin. This moisturizer really does seem to help keep my skin hydrated and happy during long hours in moisture stripping air. If you’re at all interested I would say give it a go and see what you think, I was surprised by how much I liked it. Okay, so for being 'mini' reviews that seemed kinda long. If you made it this far thank you and congrats (give yourself a couple of gold stars)! 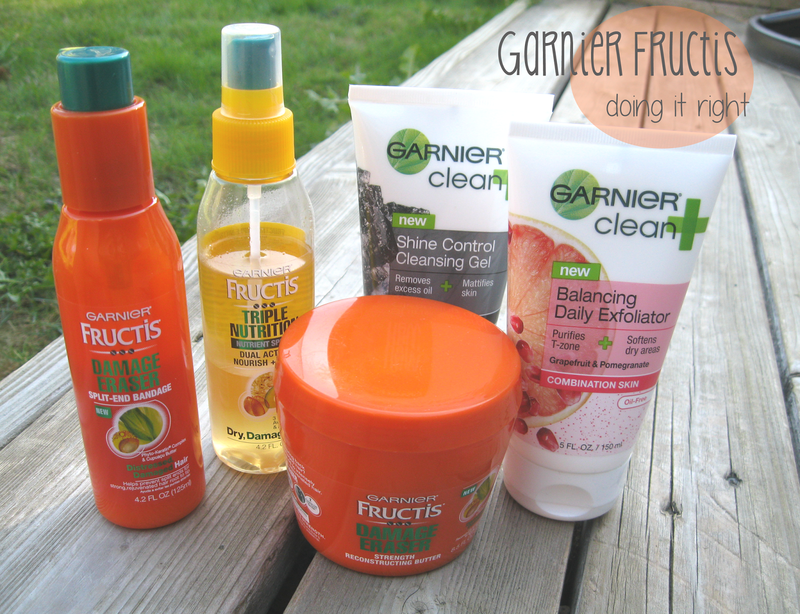 Have you tried any new Garnier stuff? Let me know what you thought. Also let me know if you have any other good drugstore cleansing oils to try (I've been all about the cleansing oils lately).